PC Problems? Devices Not Detected? Frustrated with numerous PC issues, device connectivity issues and other annoying problems? That's not really surprising; around 97% of PC problems are due to missing, corrupt, mismatched or outdated device drivers. To solve most PC problems today, you usually need to download and update your computer's drivers. However, not just any driver will do. You need drivers that match your computer's brand, model and operating system perfectly. The DriverFinder driver database is sourced 24/7/365 from thousands of various device manufacturers worldwide. Together with our Precision PC Scanning Technology, you are guaranteed to find the most up-to-date, and most applicable drivers for your PC in just a few clicks. 1. 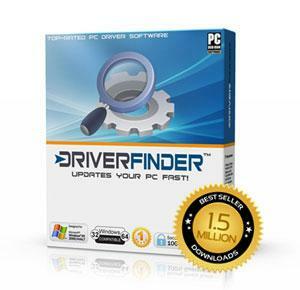 Click Here to download DriverFinder. 2. Click Run (if you're using Internet Explorer). 3. Click Save File (if you're using FireFox). 4. Double-click dfetup.exe to install. 5. Click Start Scan in DriverFinder to check for new drivers. 6. Register for the full feature version. 7. Download and install the latest Windows drivers recommended! Now wasn't that easy :) DriverFinder takes the work out of manually fixing your devices! And More! 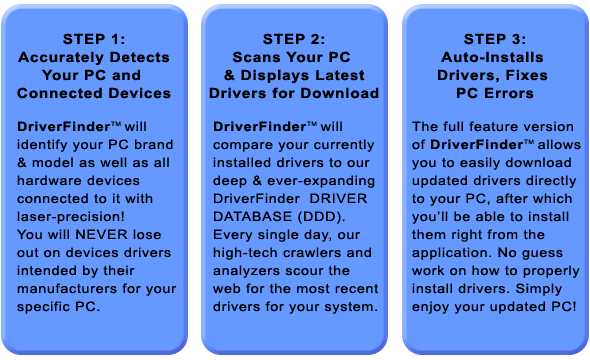 DriverFinder is continuously updated 24/7/365 and has over 1,000,000 specific drivers to match your PC! DriverFinder is 100% safe and secure. 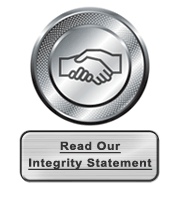 In fact, we deliberately subject ourselves to various anti-virus and anti-spyware tests! Just take a look at the awards and seals we've received from various online sites that have put DriverFinder to the test.